Dates change, so register online with the event to get alerts on the most current information. You’ll find tips on getting the most from wine shows here. I find that the larger shows that attract 20,000+ attendees are designed more for partying than learning. Often shows offer free trade tastings during the day for those who work in the hospitality industry (restaurants, hotels etc who are involved with food and wine) as well as media (writers and bloggers). 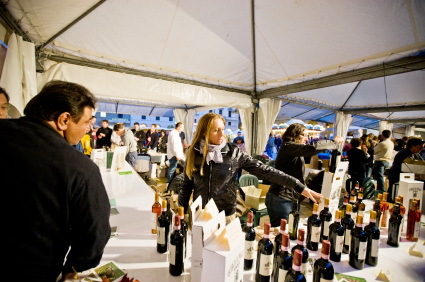 These events are usually followed by evening tastings for the public with a ticket charge. Join the National Capital Sommelier Guild. Don’t let the name scare you, they’re a group of wine enthusiasts that make learning and tasting fun! In fact, you don’t have to be a sommelier or work in a restaurant to join. The Guild hosts many wine tastings and dinner events throughout the year that are educational, unpretentious and all about having a good time. Visit the website at sommelierguild.com for more information. The LCBO Vintages division hosts regular wine events that sell out quickly, often before I can post them here. Bookmark this page and/or sign-up for their newsletter to be first in line to know about them.